I am long overdue for a new post. No excuses here, just time flying by too quickly. I’m grateful for my Facebook page, where I can share photos of random dinners and interesting tidbits. Facebook (and Instagram and Twitter) has become a bit of a cop-out for me. Just snap a pic of dinner with my iPhone and share. Couldn’t be easier, but it’s absent much thought or creativity, that’s for sure. Sitting down to share something special, with a recipe and some better quality photos (taken with a real camera), now that’s why I started this whole blogging thing in the first place. 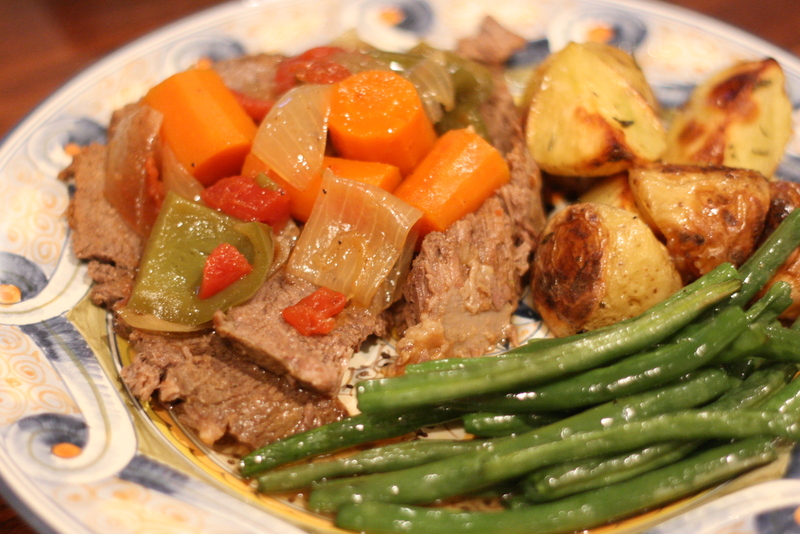 With October behind us and rumor has it, our inevitable journey into the Polar Vortex, I thought I’d revitalize my grandmother’s pot roast recipe. 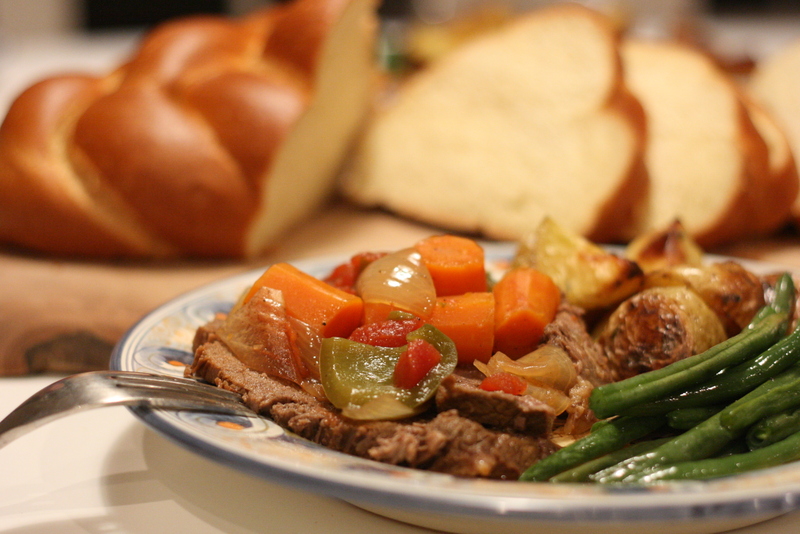 When there’s a chill in the air or a Jewish holiday upon us, Ruth’s famous pot roast is in order. Not to sound too brazen, but it’s the best! It would be impossible for me to recall every pot roast she made us. There were many. Each tasting exactly the same. 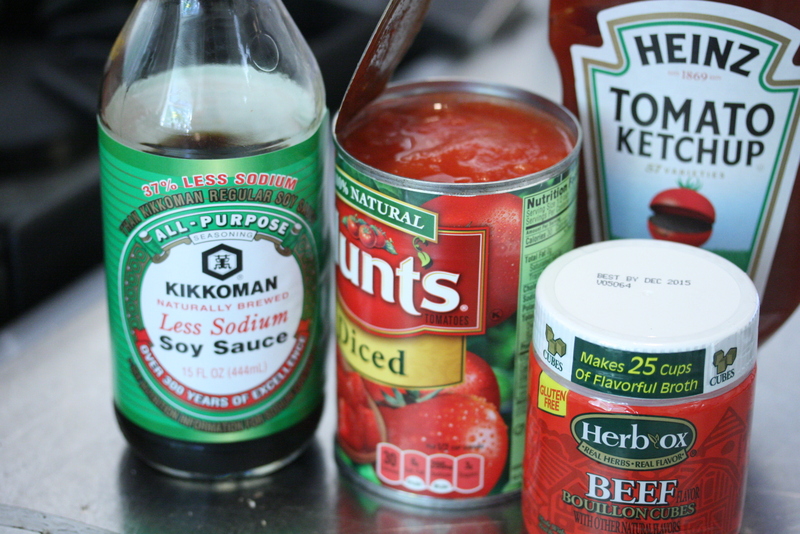 I have to say, after finding a few copies of the recipe in my archives, narrowing it down to this, the result is a taste of my childhood… just perfect. How I got an actual recipe from my grandmother in writing is amazing. Years ago, when she was cooking and I asked for a recipe, she’d often list quantities of ingredients as “just a little” or “some.” Isn’t that how all grandmothers cook? I must have gotten her on a good day when she was willing to translate “a little” to an actual measurement. Thank you Grandma! 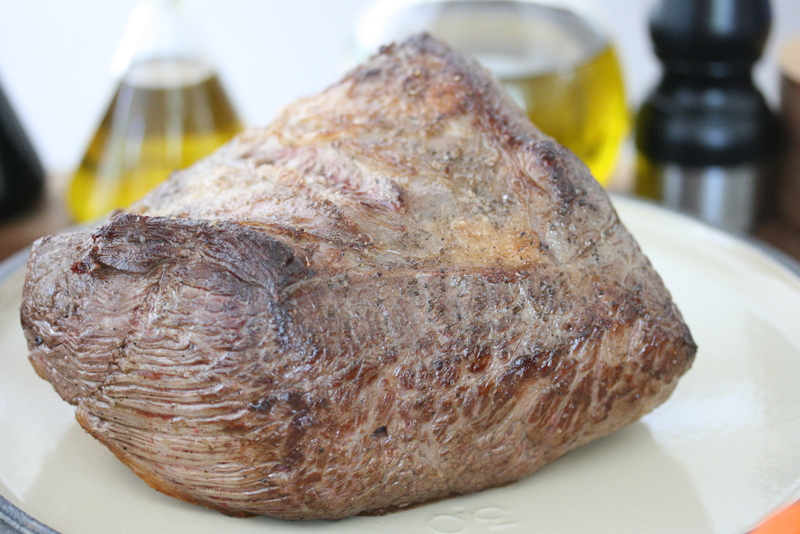 For those of you who love a hearty roast from time to time, I urge you to give this a try. I suspect someone out there might even be able to figure out how to make this in a slow cooker. If you do, please share. I just took the plunge and bought one. Sprinkle each side of the roast generously with kosher salt and fresh ground pepper. Heat a heavy large dutch oven on the stove. Add a little olive oil to the pan and brown the meat on all sides. Remove the meat from the pot and set aside. Add the onions to the pot and brown them gently over medium heat. Add the garlic and cook until fragrant, about 2 minutes. Put the meat back in the pot and add the carrots, green pepper, soy sauce, ketchup, diced tomatoes (with the liquid) and the bouillon. Stir everything around and add enough water to the pot to go about halfway up the sides of the meat. Bring the pot to a boil, cover and reduce to a simmer. Cook for 4 hours. Periodically spoon the juice over the meat while it’s cooking. You’ll know it’s done when it’s very tender. To serve, remove the roast from the pot and slice. Add the slices back into the pot so they sit in the gravy for a few minutes and serve. Delicious with roasted potatoes or better yet, mashed potatoes. I know there are recipes that add potatoes to the pot to cook along with the roast, like a stew, but that wasn’t part of our ancient family secret. Feel free to do so. It would be very good. * The meat will seem huge before it cooks. It’s amazing how much it shrinks when it’s cooking. I would say this feeds 4-6, depending on how thinly you slice it. 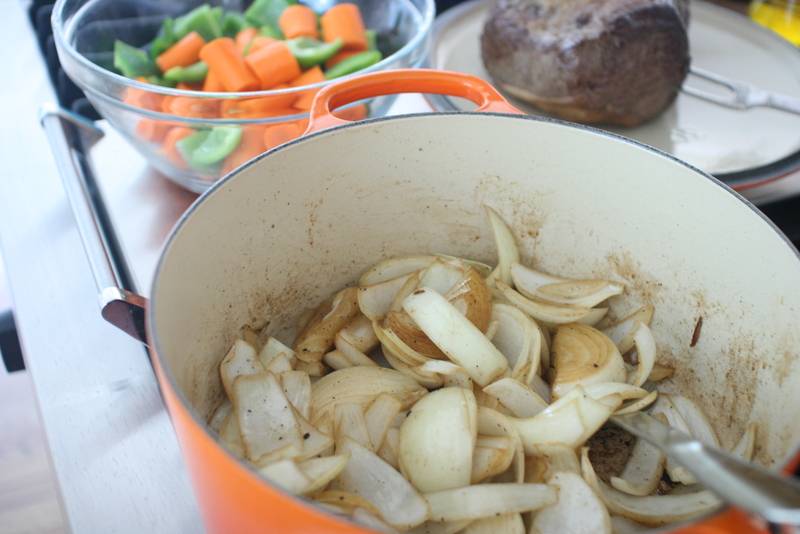 I should also mention that the gravy this makes is thin, more of an au jus consistency. 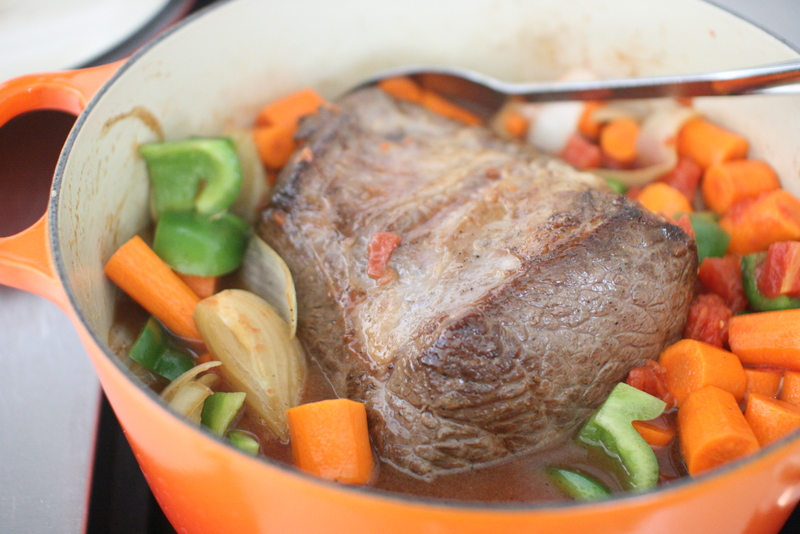 You could thicken it if you prefer, but Ruth’s traditional pot roast was not in a thick gravy. 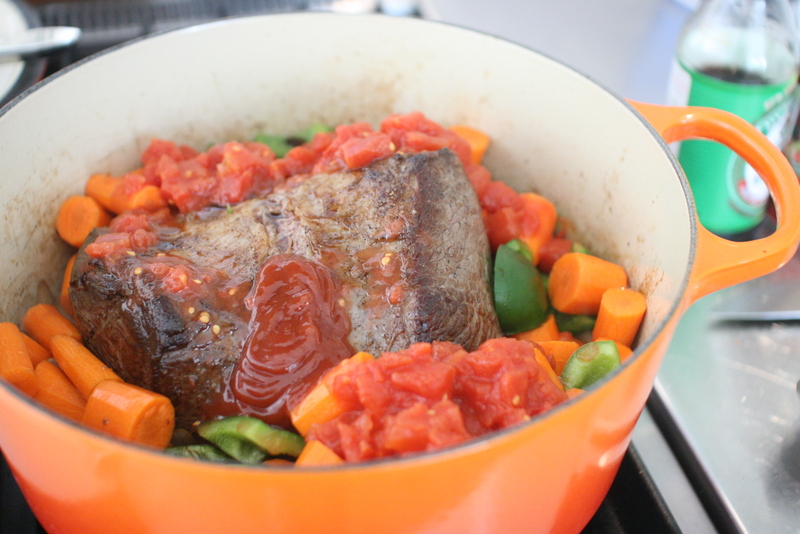 I’ve never tried pot roast before, but it looks scrumptious! Thanks so much! It’s definitely a family favorite for us. 🙂 I hope you love it! Not sure where my grandmother got the idea to use soy sauce, but it works. Enjoy! Glad Alan hooked me up with this site. Have found a bunch of really good recipes here. Thank you and keep them coming!!!! Hi Nancy, sounds scrumptious! I would make this in the morning and then move everything to pre-warmed slow cooker after the meat has been put back into the pot and begins to boil! When it starts to bubble, turn slow cooker to low and leave it for at least 6 hours if not more!